In a bid to be healthy recently, I've been reverting back to my old eating habits (80% healthy! the other 20% being Nutella from the jar). 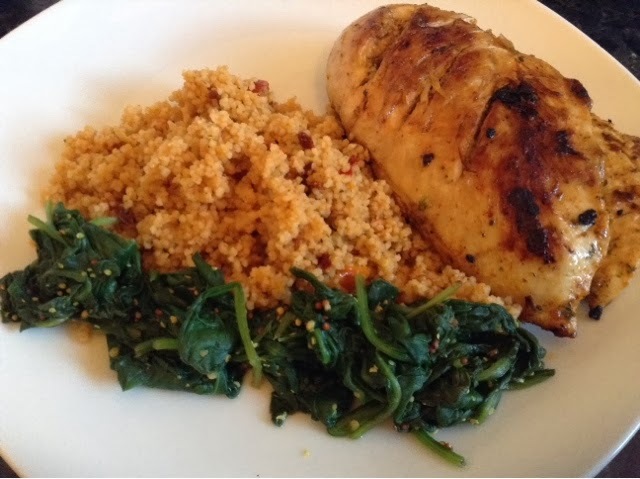 Chicken, couscous and spinach is such a filling yet healthy meal. Cooked in less than half an hour, leaving you full for much longer.